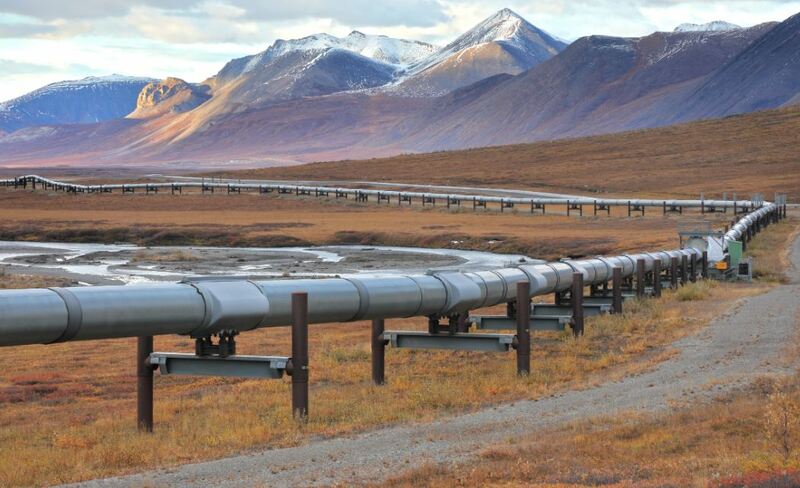 On April 8, the energy company Kinder Morgan announced it was suspending plans to expand its Trans Mountain pipeline. The news should have been cause for celebration on the Canadian left. Instead, it’s only ratcheted political tensions to new heights. The pipeline was supposed to transport bitumen across 610 miles, from Alberta’s capital Edmonton to the British Columbia city of Burnaby, and has been in the works since the project was approved by the federal government in 2013. The British Columbia provincial government had other ideas, however. Under pressure from indigenous groups and the Left, its New Democratic Party (NDP) government has worked to prevent construction from being launched within the province. This is what led to the April 8 announcement, which also contained an ultimatum: either an agreement allowing the pipeline to go forward would be reached with the BC government, or the project would be abandoned. While Kinder Morgan complains it has been “unnecessarily harassed” by the BC provincial government, activists actually have indigenous groups to thank for the project’s suspension. They mounted strong protests and weathered arrests in a show of resistance that has now proved decisive. In response, Prime Minister Justin Trudeau tweeted that Canada was “a country of the rule of law,” and that it was in the “national interest” to build the Trans Mountain pipeline and vowed that it would happen. However, a new story from The National Observer suggests that instead of following the rule of law, the approval process of the pipeline was rigged. But Trudeau isn’t alone in his opposition to the BC NDP. The pipeline’s boosters come from within the social-democratic party itself. For instance, Alberta’s NDP premier, Rachel Notley, has staked her 2019 reelection chances on getting the Trans Mountain expansion built. She’s threatened to throttle oil shipments to BC as punishment for its intransigence, and claimed that Alberta is willing to buy the Trans Mountain pipeline if Kinder Morgan backs out. Canada is in uncharted territory here, with one province threatening to embargo another. Adding fuel to the fire, there have been musings that Ottawa should withhold transfer payments to BC over the controversy. The NDP now has the only two provincial governments it leads at loggerheads over this issue. This threatens to deepen the crisis of social democracy in Canada. Canada is one of the few advanced economies that is a net energy exporter. Its vast natural resources drove its colonization and its economic development. The Biblical line “hewers of wood and drawers of water” was used by Canadian economist Harold Innis to describe Canada’s economic development in 1930. At times, this focus on extraction was offset by the Canadian elite’s desire for industrialization, which began as early as 1867, in part to prevent the country’s annexation by its southern neighbor. But since the early twenty-first century, as deindustrialization advanced and China’s demand for natural resources increased, the Canadian economy has reverted to its dependence on exporting “staples.” This has led to a massive increase in the influence of the oil industry in the country’s politics. Given these developments, it is hardly surprising that Canada is falling behind on meeting its carbon emission reduction goals. The Trudeau government blames this on the previous prime minister, Stephen Harper, who pulled Canada out of the Kyoto Accord. This ignores the fact that Trudeau continues to support the construction of new oil pipelines. That Trudeau’s Liberals want to have it both ways is not surprising; they have always governed that way. But the contradictions of proclaiming support for climate targets while continuing to expand fossil fuel production is going to end up haunting the NDP. When the NDP first won power in Alberta in 2015, it was a major event. They knocked off a Conservative Party that had been in power nearly forty-five years. The Alberta NDP carried out much-needed reforms. They created a progressive provincial income tax, replacing a flat one, are phasing in a $15 minimum wage, and rejected austerity in the face of cratering oil prices and a ballooning government deficit. Alberta lead the provinces in economic growth in 2017. But the oil issue continues to haunt the government. In its election platform, the Alberta NDP promised to review the province’s oil and gas royalty rates, which many experts have said are too low. Once elected, the Alberta NDP backed off this promise and even lowered the rates in some cases to spur investment. Premier Rachel Notley did announce a new carbon pricing and regulation scheme that would place a hard cap on emissions. The cap, however, is far too high and still takes into account new oil pipelines that the government wants to build. A division among right-wing parties in Alberta allowed the NDP to win in 2015, but with the Right now unified into the United Conservative Party, the NDP badly trails in the polls. Notley has staked her reelection on getting at least one new pipeline built. This has led to animosity between the NDP governments in BC and Alberta. Even before Notley’s recent threats, there was petty squabbling in the media over things like BC wine in Alberta, and one Alberta cabinet minister called the BC government officials “shitheads.” This kind of tension between NDP provincial governments is unprecedented. Over in BC, in 2017, an informal coalition between the BC NDP and the Greens toppled a Liberal government that had been in power since 2001. The Liberals’ administration, headed up by Premier Christy Clark, was considered corrupt, out of touch, and beholden to real-estate speculators and fossil fuel companies. In BC politics, the provincial Liberals are seen as part of a “free enterprise coalition” made up of federal Liberals and Conservatives whose raison d’etre is to block the social democratic BC NDP. In their election platform, the BC NDP promised a $15 minimum wage, card check union certification, and to tackle the affordability crisis in the Greater Vancouver Area, the country’s and one of the world’s most expensive. The BC NDP opposed the construction of the Trans Mountain pipeline from Alberta, and took critical stances towards building a liquefied natural gas (LNG) industry in the province and the completion of the Site C dam, which would flood First Nations’ and valuable farmland and is of dubious financial value. For his part, federal NDP leader Jagmeet Singh came out against the Trans Mountain pipeline during his leadership campaign, a stance he reiterated once he won the leadership. That said, he has not taken sides on the spat between the BC and Alberta NDP, despite the NDP being the only major political party in Canada that is integrated between the federal and provincial sections. And his recent proposal to refer the issue to Canada’s Supreme Court is an unfortunate attempt to punt the issue. As Anishinaabe political scientist Hayden King has noted, the Canadian Supreme Court is not a friend to Indigenous communities. It’s ruled, for instance, that aboriginal land titles can be overruled in favor of the “national interest” of the Canadian state. This is the basis for the Trudeau’s assertion that blocking the pipeline conflicts with Canadian law, and his refusal to fully implement the United Nations Declaration on the Rights of Indigenous Peoples. Trudeau’s position might prove unsustainable. After significant Indigenous activism, he was pushed to support Cree NDP MP Romeo Saganash’s bill to fully implement UNDRIP within Canadian law. But the bill has yet to be passed, and while we wait, Trudeau can still go back on his promises to First Nations. Despite this progress, just transition advocates face an uphill battle. During the last wave of job losses in the manufacturing sector — the one triggered by neoliberal economic restructuring in the 1990s — previous governments, including NDP ones, promised to retrain workers into new, high-skill jobs. That retraining never materialized, and Canada to this day as a poor record of job training by OECD standards, leading to lagging productivity growth. With this poor history of retraining, convincing workers to embrace a green economy is going to be a challenge. Perhaps with oil companies looking to introduce more automation in the oil industry, it will be less of one. Jobs in Alberta’s energy sector have disappeared for good despite economic recovery. Canadian labor has a crucial role to play in winning workers over to just transition, but they can’t do it alone. The outlines of a more aggressive plan for green economy are out there. It will be up to activists to make sure their communities, their unions, and their governments help make this happen. It is an absolute necessity to make reconciliation with First Nations happen. And given the carbon time bomb that full exploitation of Canada’s natural resources would yield, activists in Canada have a responsibility to the entire planet to stop new pipelines. And whether or not rank-and-file NDP members can push the party to embrace this without compromises will be a major factor in the party’s continued relevance and even survival.